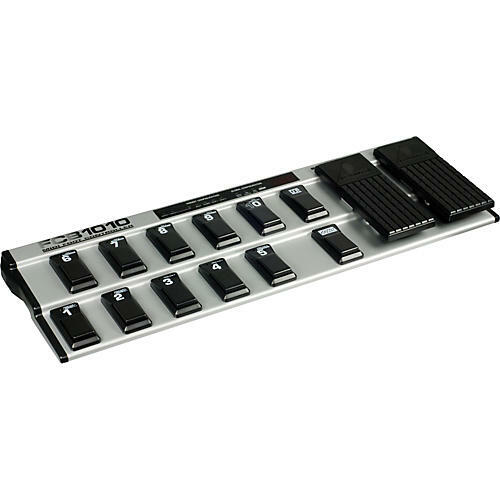 If you've got a MIDI rig you need to tame, you'll find the Behringer FCB1010 MIDI Footcontroller indispensable. With 10 banks of 10 presets, you'll have plenty of storage space. Each preset can send 5 MIDI program change commands and 2 MIDI control commands simultaneously so you can configure an entire synth rack with one stomp. 2 expression pedals independently control any MIDI channel, controller number, and range. The footswitches can also be configured to send MIDI note numbers, perfect for tap-tempo functions. 2 programmable, relay-controlled footswitch jacks are great for switching guitar amp channels via MIDI.